Nokia Smart Camera. Unleash your creativity. Spend less time planning the shot. Nokia Smart Camera mode lets you take a burst of photos, and then go back later and choose the story you want to tell. Low-light photos never looked this good. Award-winning PureView technology, Carl Zeiss optics and six physical lenses. The Nokia Lumia 925 lets you capture the great moments, day or night. And the beautifully crafted design will turn heads wherever you go. All the action in a single photo. Capture more of the action than your eyes can see. The Action Shot feature in the Nokia Smart Camera lets you snap once to get a sequence of movements in a single high-quality image. Get what you want. Blur the rest. The Motion Focus feature on the Nokia Smart Camera recognises what you want to focus on, and makes sure it’s illuminated. It simulates action by keeping your subject still and blurring the background, giving the illusion it’s moving at super speed. And the best part is that the person taking the photo, doesn’t have to move at all! Nokia Lumia 925 Features. 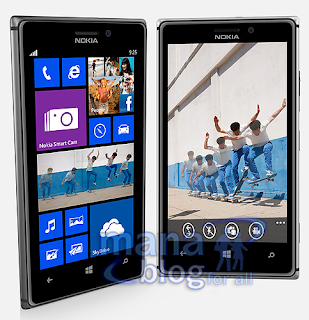 Powered by Windows Phone 8, the Nokia Lumia 925 comes packed with great smartphone features. Work on the go with MS Office, enjoy free tunes on Nokia Music and discover the city around you with HERE Maps, or snap on a wireless charging cover to charge up without plugging in.